So how do you measure social programs? Building a social metric system that tracks true business value is possible, when you understand the nuances behind it. 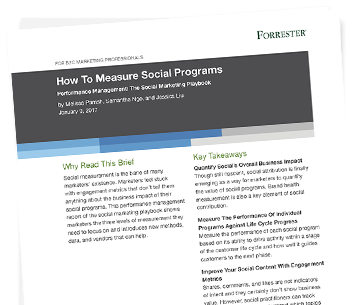 Download the report to learn how to successfully measure social programs and steps you can take today to get started.